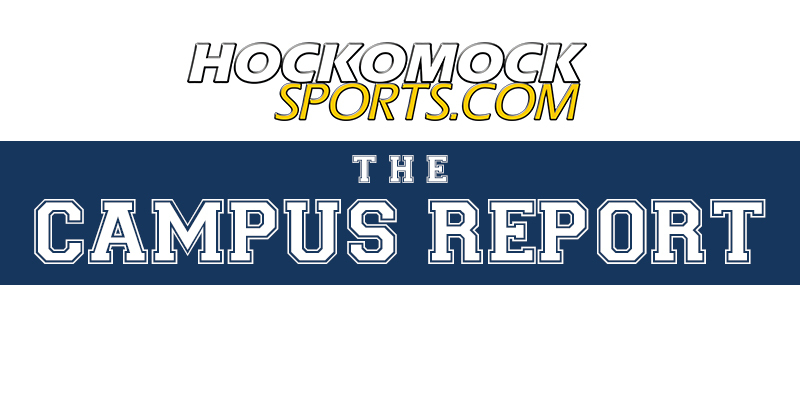 With one game remaining in the 2015 regular season, Adelphi lost its starting goalkeeper to an injury. Waiting in the wings for the Panthers was junior keeper Spenser Powell and the Attleboro High alum took advantage of his chance to wear the No. 1 jersey by helping Adelphi reach the NE-10 tournament final and the NCAA tournament. Entering his senior year, Powell knew that he would once again have to fight to keep his spot in goal. Not only did he win the starting job, but he was the backstop for a team that finished 19-1-2 overall, clinched the program’s first NE-10 tournament title (in its fourth year in the league), and advanced to the Elite Eight of the NCAA tournament for the first time since 1975. “On the back line, I think the youngest guy we had was a junior, so we all kind of knew what we were doing and that really translated well to the whole team,” said Powell a couple weeks after the season ended with a dramatic shootout against Charleston (W.Va.). Unlike other positions on the pitch, there is only one goalie and substitutions are rare. Teams tend to favor continuity and building a relationship between the goalie and the defense, so, barring an injury, it is difficult to usurp the man with the gloves during the season. Even so, it is imperative to stay ready and be able to step in if needed. Powell, it turned out, was ready. “Coach just trusted me,” he explained. “He knew that I wasn’t too nervous going in and he could trust me. I had been there for three years and he knew what I could do. I just had to put everything I was working on to use. Even though he felt prepared to play, jumping in for just the second start of his career in a conference tournament game brings with it plenty of pressure. Each mistake is magnified because of the stakes. With Powell in goal, Adelphi won a pair of games, both by shutout, and advanced to take on top seed Southern New Hampshire in the final. 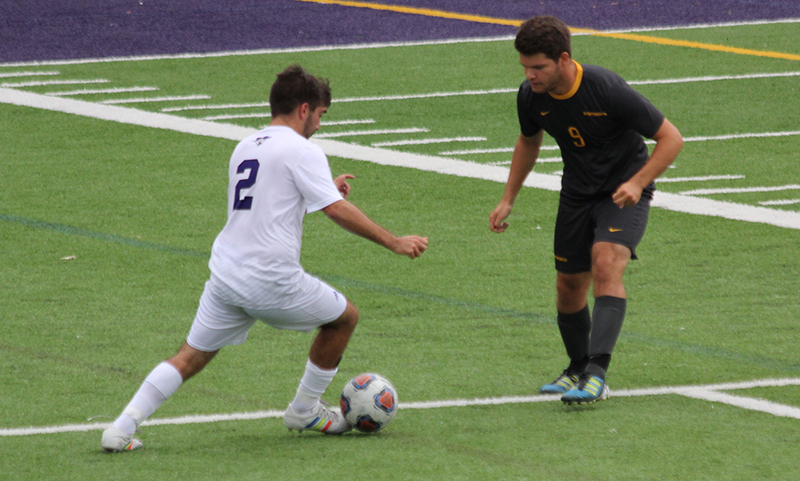 Although the Penmen ended up claiming the title and Adelphi lost in overtime in the NCAA first round, Powell used that experience to build his confidence heading into the preseason this fall and the renewed competition for the starting spot. Coming into 2016 with an experienced lineup and motivated by the loss in the NE-10 final, Powell and the Panthers put together a remarkable season, finishing with the NE-10 regular season title, a final ranking of No. 5 in the country, and setting a program record with 14 clean sheets. Powell was named NE-10 Goalkeeper of the Week four times in the regular season and was named second team all-conference. He credited the training he received from Attleboro coach Peter Pereira and former Attleboro and Lafayette goalie Phil Nelson for the footwork he displays in goal. He also grew as a leader on the pitch. In the NE-10 final, Powell did just that to Le Moyne, making five saves, including four in the final 25 minutes, as Adelphi pulled out a come from behind 2-1 victory to bring home the title and set off celebrations on the pitch. The Panthers added another impressive win in the NCAA tournament, beating crosstown rival LIU-Post for the first time since 1989. 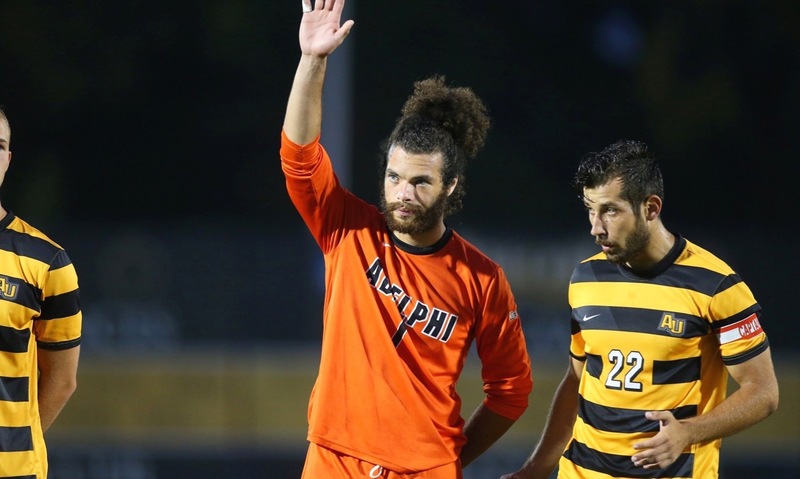 Adelphi rolled to a 4-0 victory that sent it to the Elite Eight. In the quarterfinal, Charleston jumped out to a 2-0 lead, but Adelphi battled back in the final 10 minutes of regulation to force overtime. Powell got the comeback started with an assist. His long ball forward to NE-10 Player of the Year Federico De Oliveira, who settled it and cut the lead to one. A penalty tied the game at 2-2, which is where it stood until Charleston got the edged in a shootout. Powell explained that every day he passes a plaque honoring the 1975 team that won the national title. After helping the program to a record-breaking season and its deepest NCAA tournament run since that title-winning season, the senior is hopeful that he has added to a long legacy of success at Adelphi.